Choosing the right software for large screening projects can make all the difference. 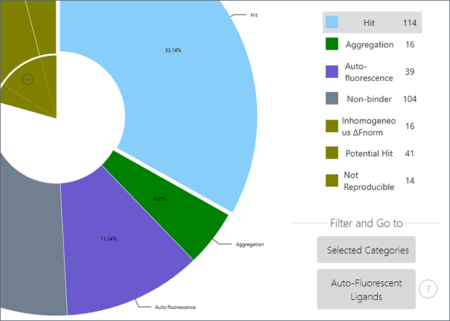 MO.Screening Analysis analyzes data from your Monolith NT.Automated system, and automatically evaluates and identifies the binders among thousands of ligands from single-dose screens. 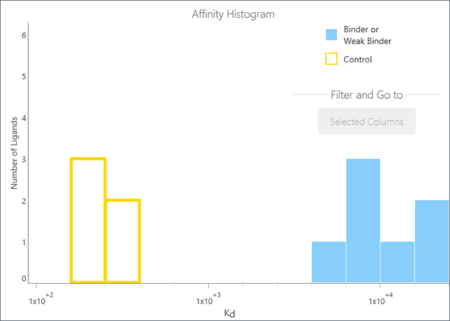 Get Kds from affinity-based screenings to identify the strong versus weak ligands. With just a glance, determine the ones that are hits versus non-binders. Even uncover those that cause aggregation of the complex or merely show autofluorescence. 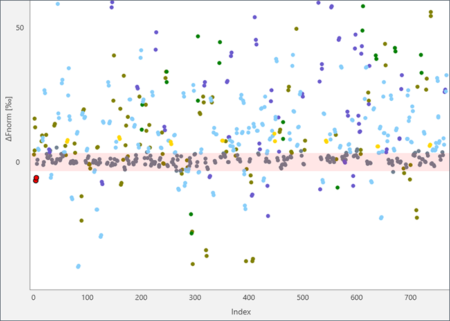 View single dose response data for all ligands in one graph and know which ones fall within the noise and which ones are true hits. Easy-to-interpret ranking tables and histograms display a very straight-forward way to view and compare Kds.